Microsoft debuted the first television ad for its Surface tablet on Monday, ahead of the company’s Oct. 26 launch. Entitled “The Surface Movement,” it focuses on the device’s magnetic, easily attachable keyboard as well as its kickstand, which makes a clicking sound. The US Microsoft Store seems to have sold out of its first shipment of the $499 model, or else there's been some sort of delay. 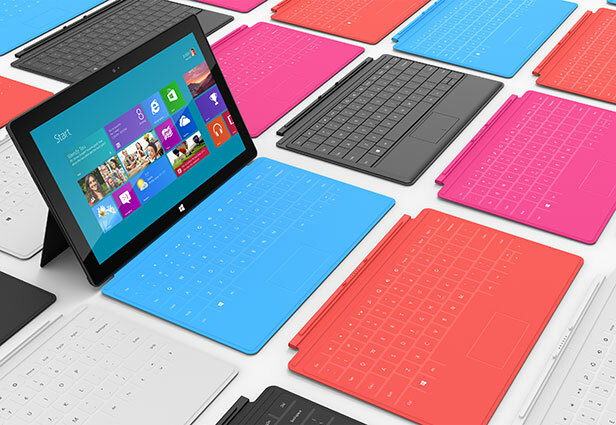 It now lists the cheapest $499 model (without Touch Cover) as shipping within three weeks. Originally, it would ship by October 26th. Surface will have two versions of Windows 8: Windows 8 RT and Windows 8 Pro. It is considered to be a good competitor to the Apple's iPad and Galaxy Tab series.